Six men have been arrested on suspicion of supporting ISIS in Israel, following an investigation by Israeli security and counterterror forces. The men were indicted on charges of supporting a terrorist organization, possessing and distributing advertising materials of an illegal group, and conspiracy, among other accusations, according to a written statement from police spokeswoman Luba Samri. Among the six suspects: four schoolteachers, one of whom taught at an elementary school in Hura. According to police, the man took “every opportunity” to teach his young students about ISIS. Police say the teacher would sing songs praising ISIS in class, express his support for the terrorist organization, and show students map drawings of the self-proclaimed Islamic State — the group’s preferred moniker, and also the way it refers to its wide swath of territory across Syria and Iraq. 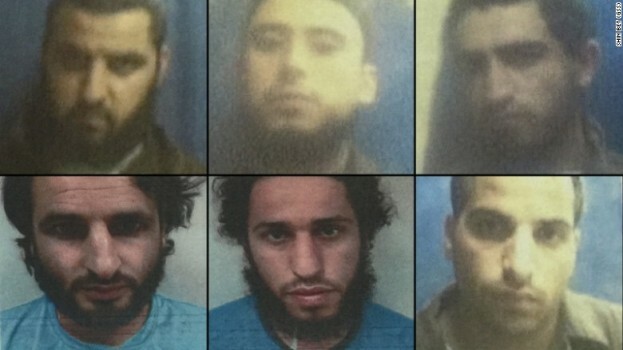 The men were conspiring to travel to Syria to join ISIS, according to police. All six are residents of Hura, a Bedouin village near Israel’s border with the West Bank. Israeli police say four of them taught in schools, ranging from elementary to high school, located in Hura and Rahat, another Israeli city inhabited mostly by Bedouins, an Arab Muslim minority in Israel. The suspects identified as educators are teacher Hamza Abu Ali Abu Alkyan, elementary school teacher Akram Al’ab Ahmed Abu Alkyan, high school teacher Muhammad Al’ab Ahmad Abu Alkyan and elementary school teacher Bashir Jabran Salim Abu Alkyan. Police did not specify what the other suspects, Khader Hassan Abu Alkyan and Sharif Shahada Abu Alkyan, did for a living. Based on the birth years released by police, the men range in age from their early 20s to early 30s.